After spending the morning walking around the Gardener’s World Live part of the exhibition, it was time to turn our attention to the Good Food Show Summer. I always love going to these shows – I mean, what’s not to love about tasting delicious food and talking to people who are so passionate about their produce? I did a quick scan of the show on Thursday, and then explored properly when I returned to the NEC with Mark on Saturday. These were my personal favourites from the show. You may have seen this first stand in my Show Highlights post. The Port of Lancaster Smokehouse had a big display of smoked kippers which smelled amazing and drew me over to their stand. While we were there, Mark and I tried the Venison Salami, Venison Chorizo and the Smoked Salmon Terrine. All of them tasted delicious and found their way into our shopping bags! 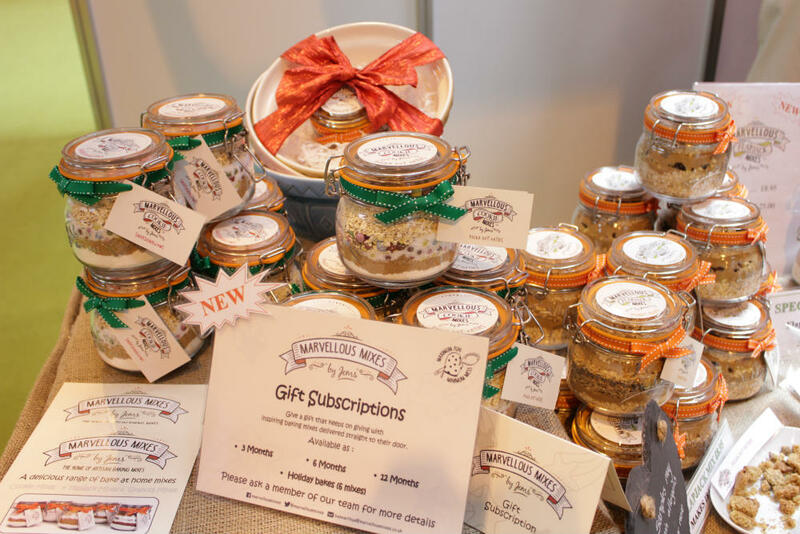 I loved the look of these gift subscriptions from Marvellous Mixes as well. The display of kits in their jars looked lovely, and the finished items tasted great as well. I think this would make a really different gift idea, I know I’d love to receive something like this! Maybe something to bookmark for when you start your Christmas shopping? 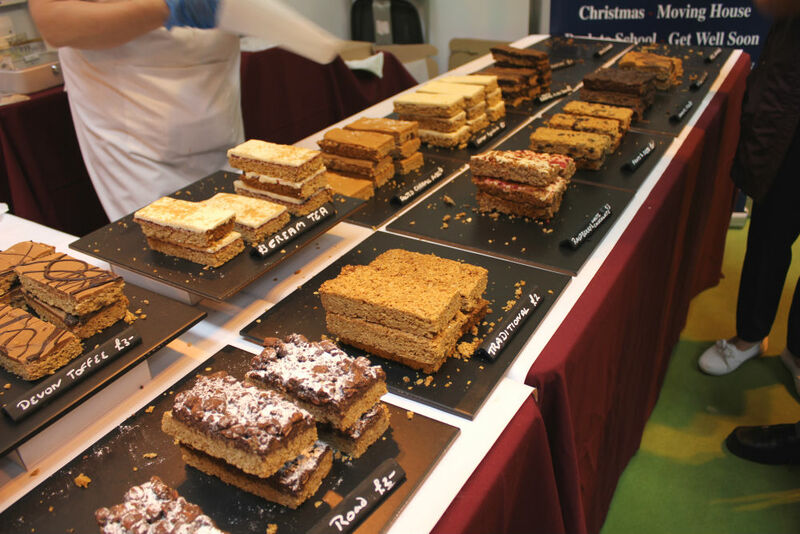 One of my other favourite stands this year was luxury flapjack creators Flapjackery where I bought some of the best flapjacks I’ve ever had. They are thick and chunky, with just the right mix of chewiness and crumbly oats. The toppings are out of this world. I really loved the Clotted Cream flavour topping, but the Cream tea topping was another favourite. Flapjacks, chocolate, jam – does it get much better than that? The show was very busy when Mark and I visited on Saturday, and there was plenty to see and do. As well as all of the shopping, there were celebrity chefs to watch in action in the Supertheatre and the BBC Good Food Show. 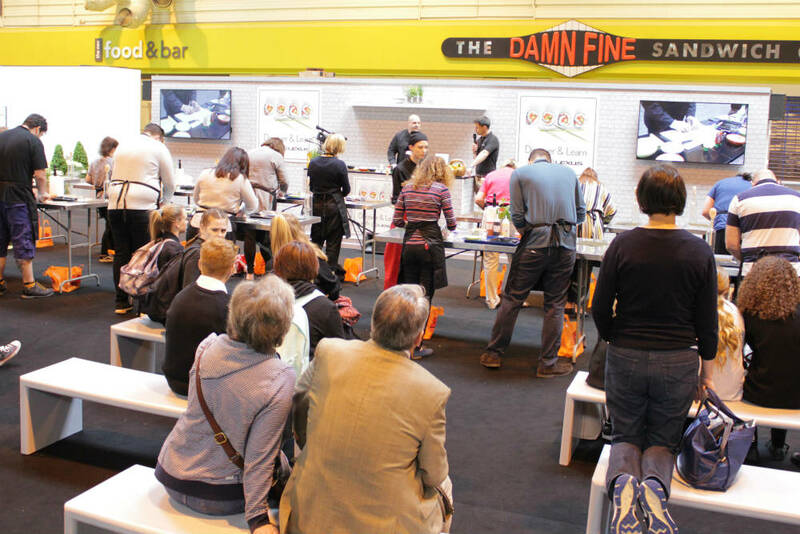 There were also masterclasses taking place in various locations around the show, which always looked like they were very popular. I hoped to take part in a sushi class on the Yutaka stand, but every time I passed by it was packed full! I’ll just have to make do with trying out one of their sushi kits instead. Some of my favourite producers from previous years were also at the Good Food Show Summer, including Shropshire’s own Cooper’s Sausage Rolls. Their Shropshire Blue and Caramelised Onion sausage rolls are so delicious, I couldn’t resist picking up a few to take home for Father’s Day the next day. If you see them at a show near you, definitely give them a try! 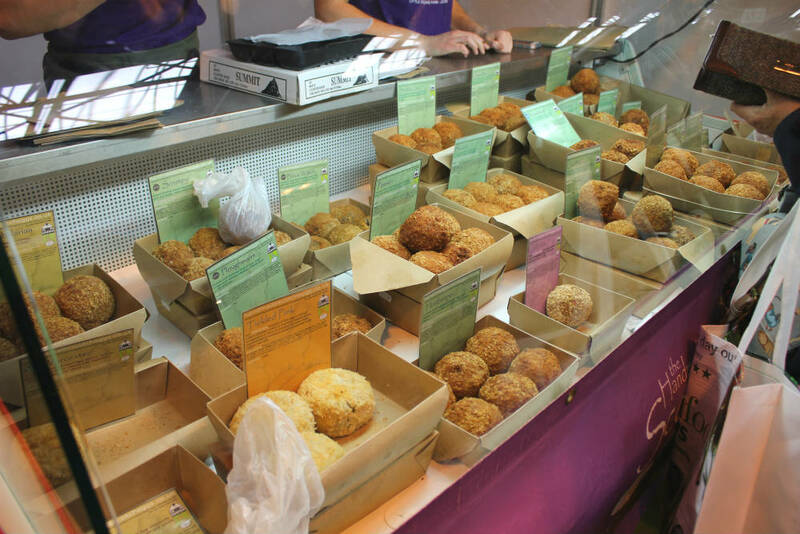 We also picked up some of the Smokey Joe scotch eggs from the Handmade Scotch Egg Company stand. This is my favourite from their range of over 40 different kinds of Scotch Eggs, made from free range pork and delicately smoked bacon. Delicious! 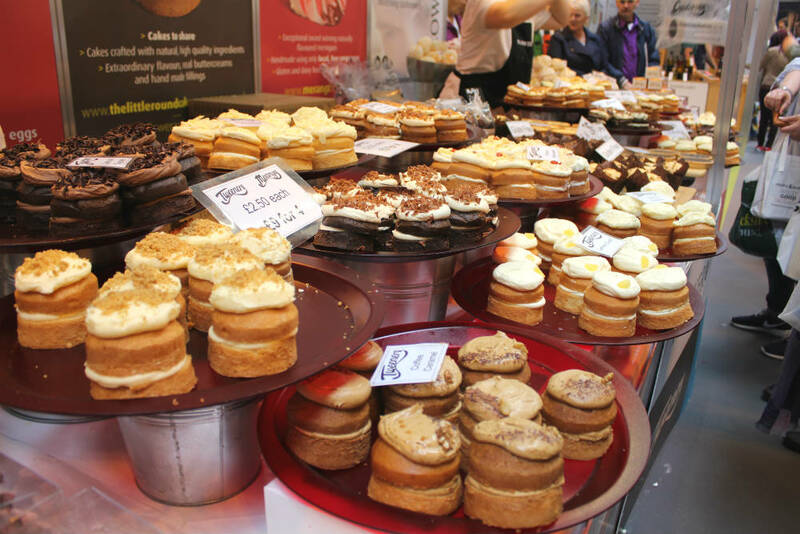 Another Shropshire favourite, The Little Round Cake Co, were also exhibiting with the stand packed full of their gorgeous ‘Tweeners’. Don’t they look delicious? But if you’re looking for a sweet treat that is a little more on the healthy side, then I can definitely recommend checking out Good Full Stop. 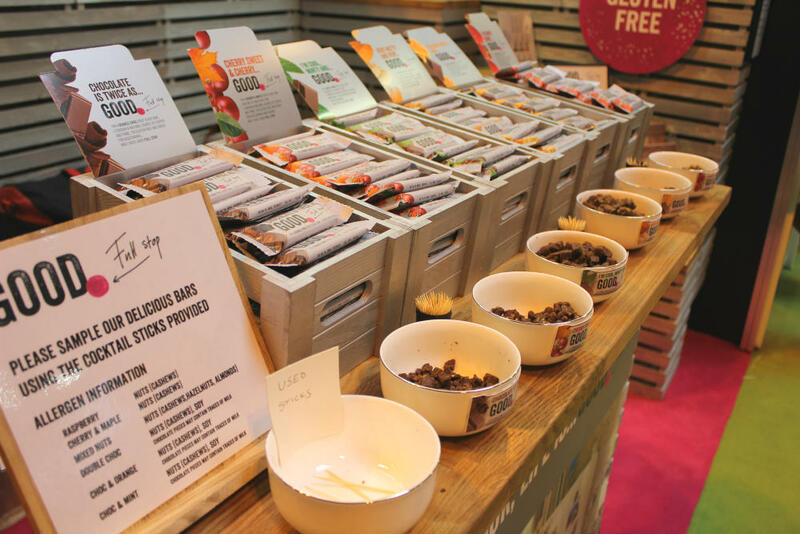 They make yummy snack bars that are full of good stuff, support good causes around the world, and the bars are vegan friendly. There are six varieties at the moment, my favourite is Chocolate is Twice as Nice – it’s so incredibly rich and chocolatey! 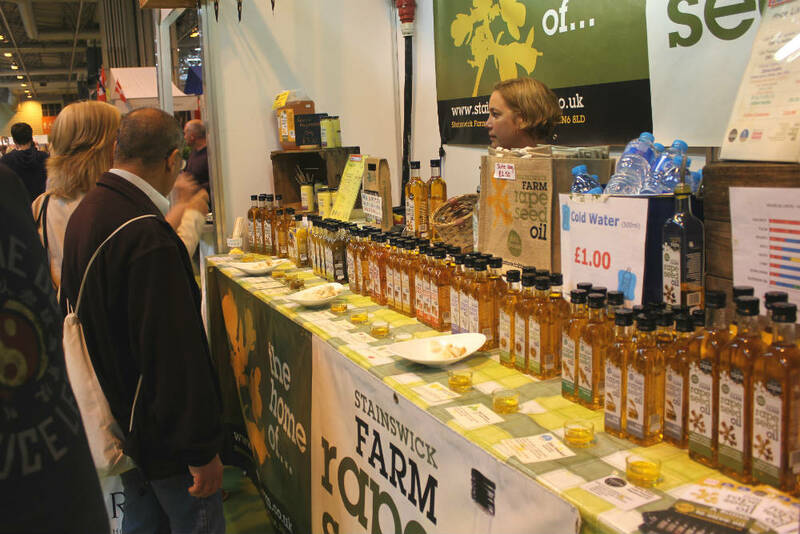 I always like to keep an eye out for some good quality oils when I’m at the Good Food Show Summer. I was definitely impressed by the oils and dressings on sale on the Stainswick Farm stand. They produce cold pressed extra virgin Rapeseed Oil on their farm on the Oxfordshire/Wiltshire border, which minimises food miles and maximises the flavour of the oil. The oil on its own was delicious, and I really loved their honey & mustard dressing. It was both sweet and tangy, definitely a perfect summer salad dressing. Something that surprised me on my visit was found on the Adventures in Fruit stand. These aren’t just any raspberries, they are Sapphire Raspberries and the flavour was beautifully sweet. I do usually like the sharpness of a raspberry, but these berries are larger than normal raspberries and the flavour is simply sweet. If you see this variety, it’s definitely worth giving them a try over the summer months. 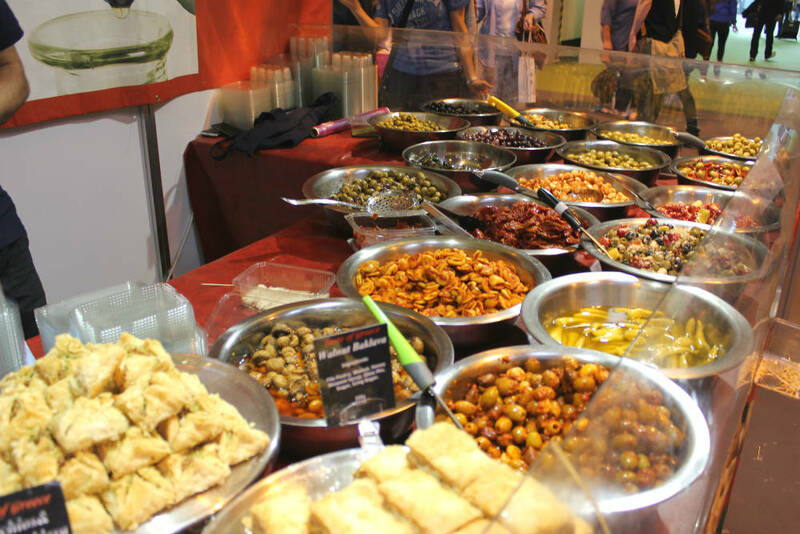 Just before we left the show, tired and laden down with bags, Mark and I called into the Med Food stand. Lyle absolutely loves olives, and I like to pick him some up when I have a foodie day out. This time I took home a tub of their Greek Salad olives, which was a mixture of black and green olives, creamy feta cheese and feta stuffed chillis. It was really delicious, I found it hard to resist standing at the fridge door picking at the tub! I also took a small bag of their cashew nuts with cheese, which are incredibly moreish! 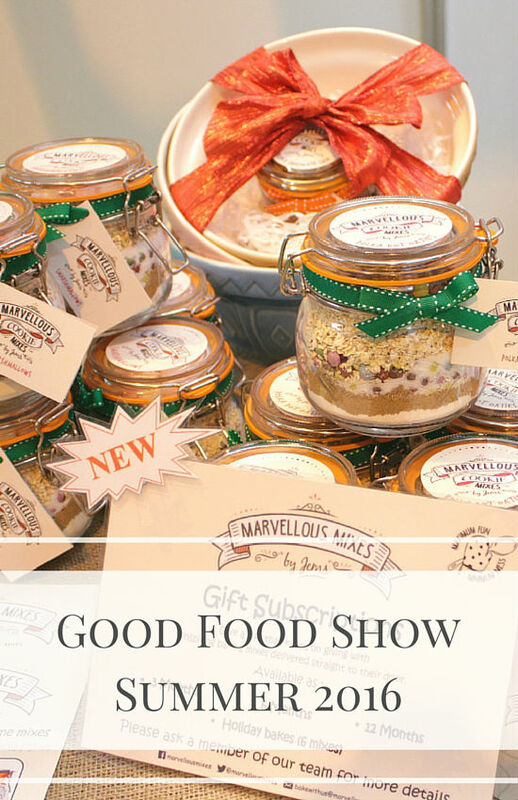 It was another lovely day out at the Good Food Show Summer. I always come home with tired feet and an empty purse but that’s all part of the fun, isn’t it? 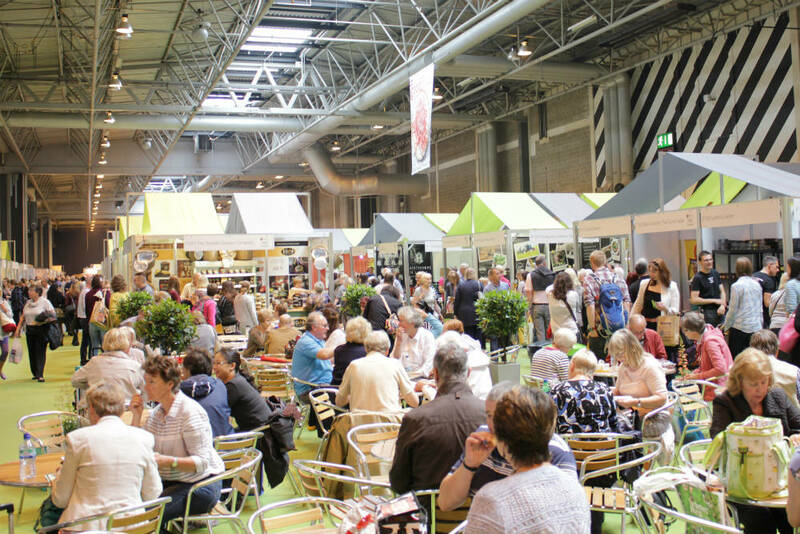 I can’t wait to return to the NEC Birmingham in November for the Good Food Show Winter! Flapjackery looks amazing,although the sapphire raspberries would steal the show for me as I love berries and I like that you said that it is sweet. 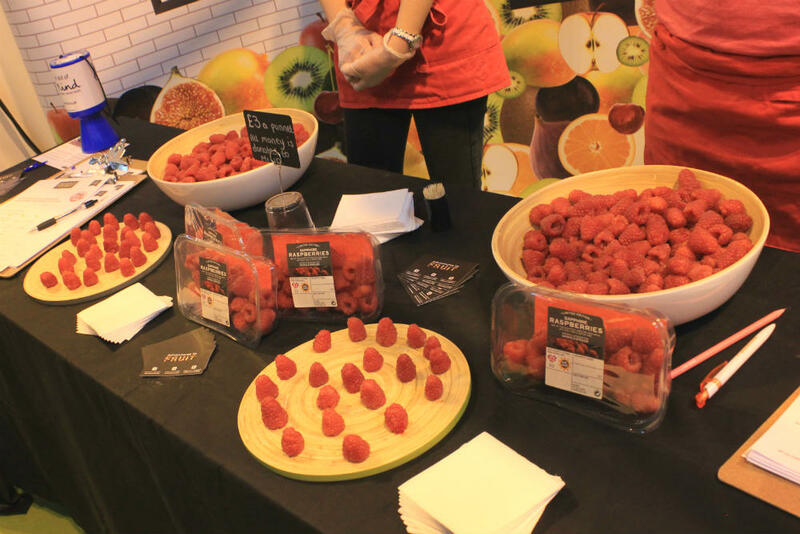 Ana, the raspberries are delicious – if you ever see them you must give them a try!